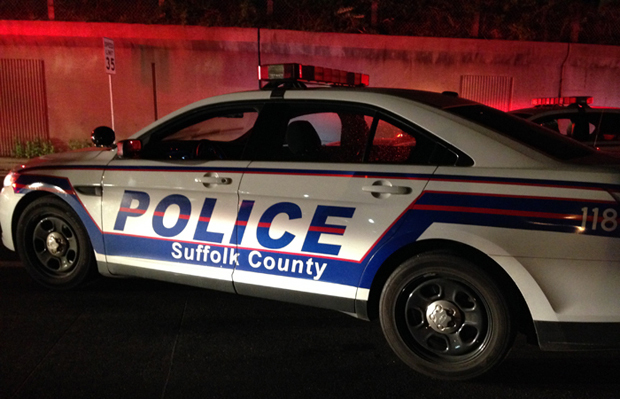 LONG ISLAND, NY – A Suffolk County jury has convicted a 32 year old Kings Park man of manslaughter in the first degree and endangering the welfare of a child in the beating death of his 43-day old son in 2011, Suffolk County District Attorney Thomas Spota said. Christopher Foster was found not guilty of second-degree murder. The trial before State Supreme Court Justice William Condon in Riverhead started on June 22. Christopher Foster, 32, was found guilty of of manslaughter in the first degree and endangering the welfare of a child in the beating death of his 43-day old son in 2011. Foster faces up to 25 years in state prison when he is sentenced on September 8. An autopsy established the infant, Jonathan Hertzler, suffered a fractured skull, four broken ribs and bruises to his face. The Suffolk County Chief Medical Examiner testified that there was evidence the boy suffered bruises that were inflicted before the night of his death on October 11, 2011 and that the fatal injuries were caused by multiple blows. The baby’s mother, Clarissa Hertzler, testified the baby was a source of constant aggravation to Foster and that he often became angry when the infant cried. Assistant District Attorney Dana Brown told the jury that on the night of the baby’s death, Foster was the last person to hold his son and that the defendant called his boss, but not 911, to report the baby wasn’t breathing. Foster was remanded to the county jail and faces up to 25 years in state prison when he is sentenced on September 8.